The SIG's newsletter/journal editorship was handed over from Martha Steenstrup to Roch Guerin, and the first issue under his editorship safely delivered. Martha had been providing significant technical production support (while BBN provided some financial support for production as well as editing), which was a serious burden on the new editor. The SIG has made explicit funding available to Roch Guerin to address this problem. It has continued to provide a digest of standards in the area of computer and other communications systems. Lyman Chapin also continues to tracked standards meetings as part of his "member at large" role. The joint publication ACM/IEEE Transactions on Networks (ToN) is now the key communications publication in the world. There problem with ACM SIGCOMM Conference papers that are recommended to be forwarded to ToN - in the previous 2 years, 5 sets of authors have failed to followup on this option. Last year, we set about working with Simon Lam and the SIGCOMM PC (as well as ICNP) to try to improve this record. This is making a small amount of headway against the problem. We received one from Craig Partridge to run some vidoe conferences to help coordinate design of a curriculum for a Model Course on Computer Networking. The second one that was funded was a proposal from Dave Clark and others at MIT to provide $25,000 support for the CSTB study of the future of broadband access to the home. We continue to fund the process of retrieving all (paper only) back issues of CCR, to make them available eventually online. SIGCOMM 98 (sponsored), 31 Aug. - 4 Sept98, Vancouver, CA. ACM Multimedia 98 (we sponsor with SIGMM and SIGGRAPH), 12-16 Sept98, University of Bristol, UK. VRML 99 (co-sponsored with SIGGRAPH), 23-26 Feb99, Paderborn, Germany. MobiCom98 (in cooperation), 4th ACM/IEEE Intl Conf on Mobile Computing and Networking, 25-30 Oct98, Dallas, TX, USA. IW-MPLS98, (in cooperation), International Workshop on MultiProtocol Label Switching, 12-13 Nov98, Virginia, USA. ICNP 98 (in cooperation), International Conference on Network Protocols, 13-16 Oct98, Austin, TX, USA. IDMS 98 (in cooperation), 5th International Workshop on Interactive Distributed Multimedia Systems and Telecommunication Services, 8-11 Sept 98, Oslo, Norway. IWQoS99 (in cooperation), International Workshop on Quality of Service, 1-4 June99, UCL,London, UK. Peter Kirstein is recipient of the 1999 SIGCOMM Lifetime Achievement Award. Next year, we have a long list of possibilities, yet again! We are considering re-vitialising the SIGCOMM roving "distinguished lecturer" role - Steve Deering was approached to see if he was interested - other possibilities are legion. SIGCOMM 99 is to be in Cambridge, Mass., and the PC have made extraordinary events to have a special event with all surviving SIGCOMM award winners giving a special 10th anniv. award event panel. The papers are online on the conference web site as per the SIG policy, and look excellent. The tutorial program is also very strong (as usual!). Sponsorship is in place, as is the student travel grant process. 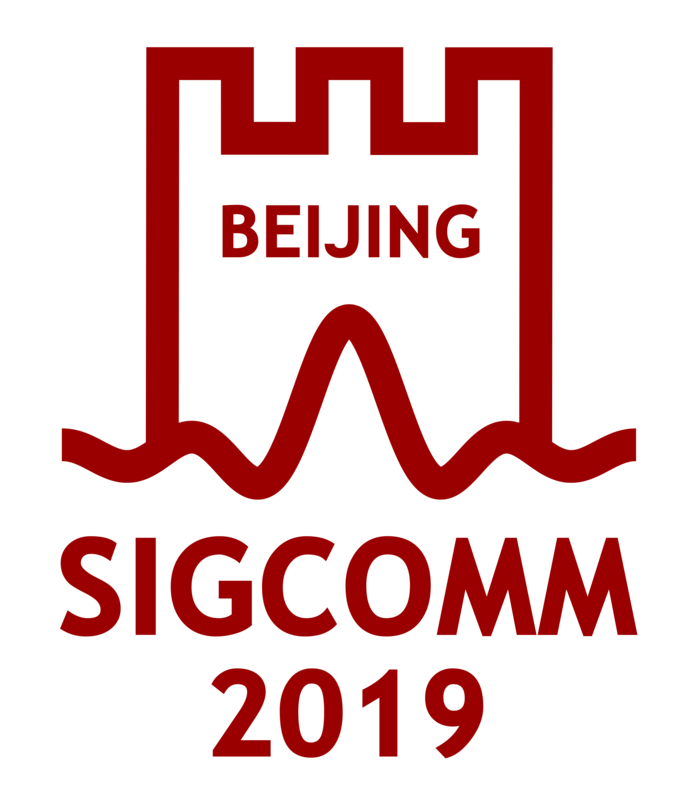 SIGCOMM 00 is to be in Stockholm, Sweden, with Jim Kurose, Christophe Diot, Per Gunningberg and Steve Pink in the various PC and arrangement chair roles. Significant initial sponsorship (from Ericsson) is already in place. SIGMM and SIGMobile are areas where we share sponsorship, and also a great deal of their annual conference program committees' membership. We would especially like to thank Chris Edmondson-Yurkanan yet again for coordinating with other conferences. 9. Membership activities and/or concerns. We posted the 25th anniversary special issue of CCR to all the student members of SIG Mobile, Multimedia and GRAPH on the off chance that this would attract extra student members. The conference plans are alluded to above. The SIG still finds it hard not to make a profit - we are working on schemes for more special projects. Greg Wetzel is tracking down a commercial organisation to scan in all remaining back issues of SIG publications. For more information on any of the above activities, see the SIGCOMM Home page, at http://www.sigcomm.org/. They all have a long history of SIG involvement, and the old exec is very happy to be handing over to such an excellent group. We also say farewell to David Wood, who has been the chair of the SIG annual award committee since it started. Greg Wetzel is stepping down as SIG information officer as well. We are extremely grateful to both of them for their wonderful efforts on behalf of the SIG. Last but not least, many SIG members expressed their sadness that Pat McCarren left the ACM HQ. He has been incredibly efficient and helpful (apparently regarding SIGCOMM as a light relief after SIGGRAPH) - we wish him well with his new career.